Today I really fancied a Far Breton. 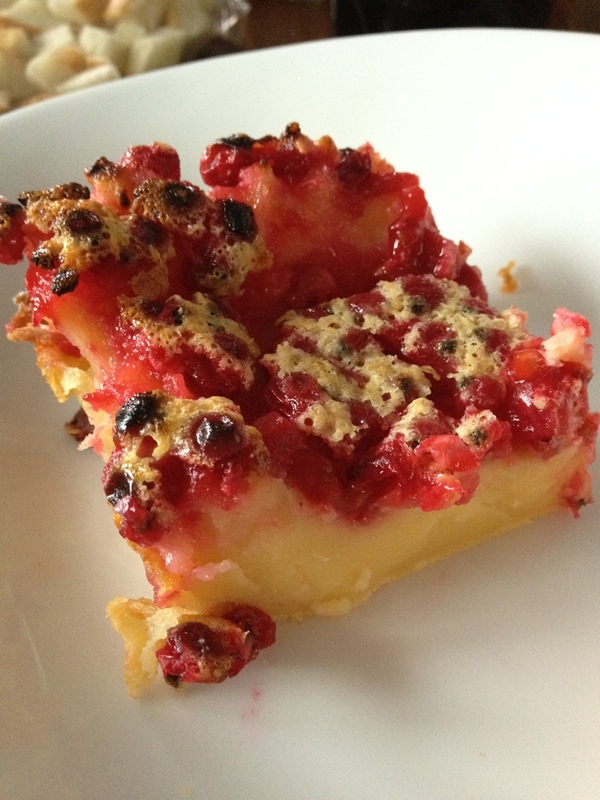 As I have already done that for Recipes365 I tried the next best thing: Clafoutis. Usually it is made with cherries. Because the custard mix is fairly sweet, however, I prefer tart fruit. 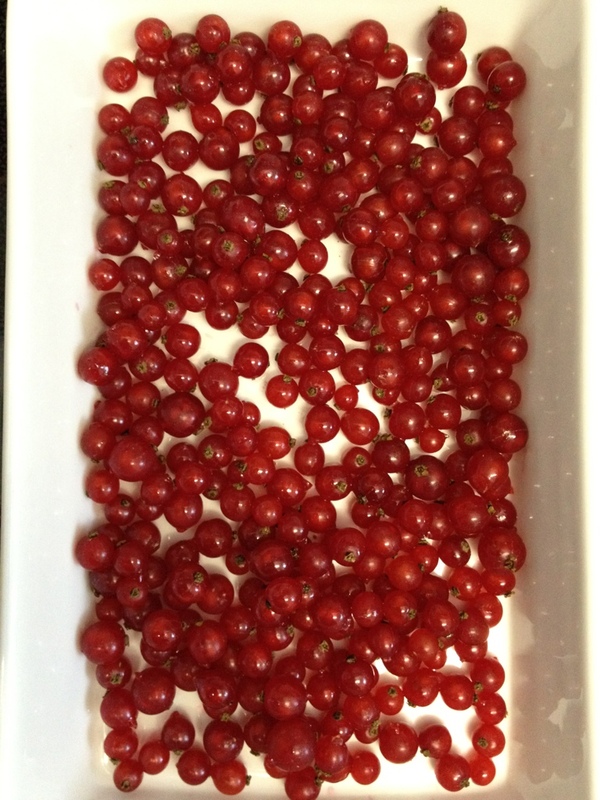 The tartiest fruits in season right now are redcurrants. 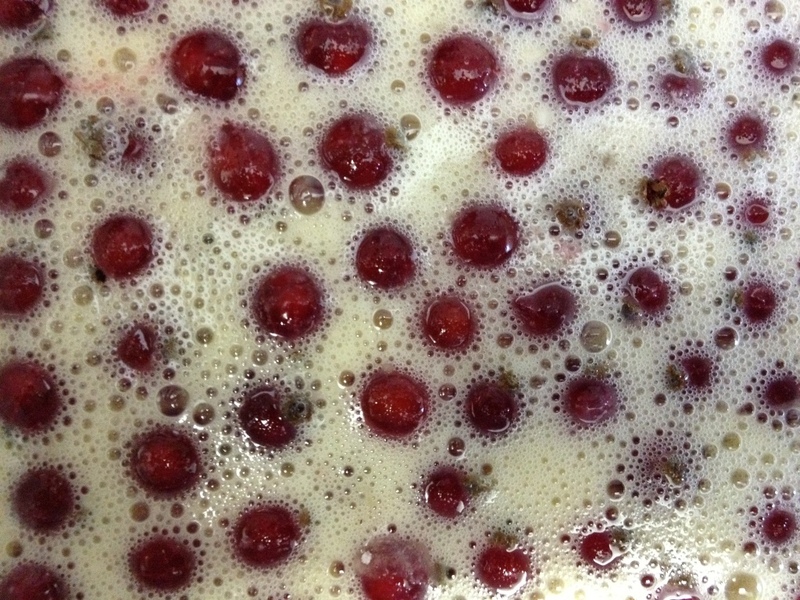 Over my redcurrants I poured the custard mix consisting of 3 eggs, 1 cup milk, 1 cup sugar, 1/2 cup flour, a pinch of salt and some vanilla essence. After baking in the oven at 180C for 35-40 minutes it looked a bit monstrous. 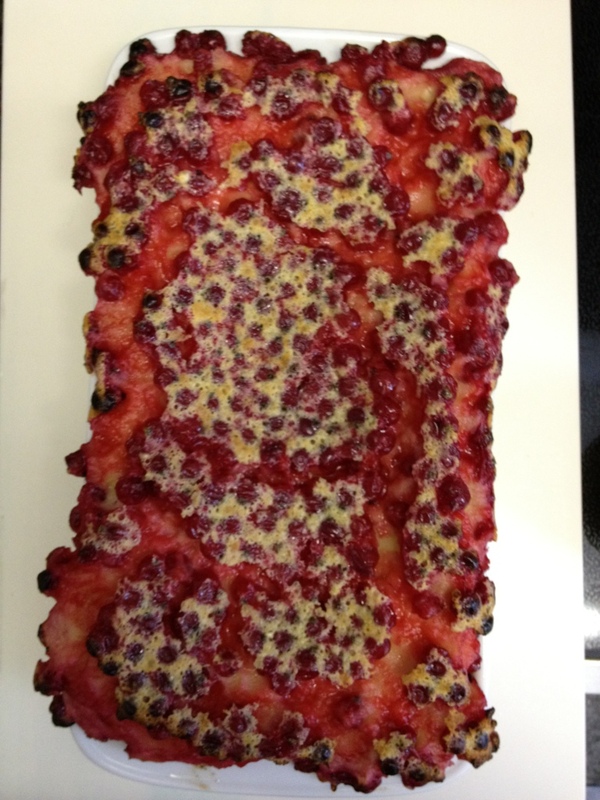 I left it to cool and went off to see a hot movie (dare I admit it…, Magic Mike). 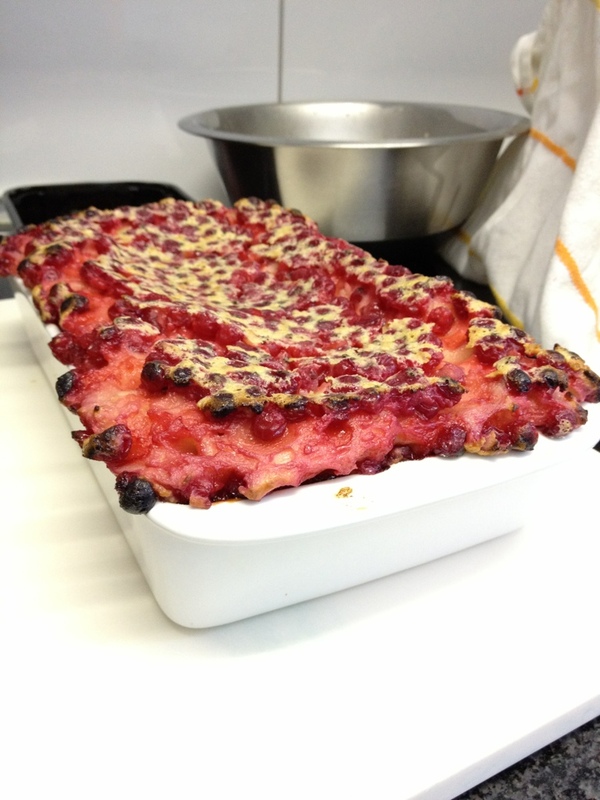 When I got back the clafouti had deflated considerably. And it tasted wonderful! 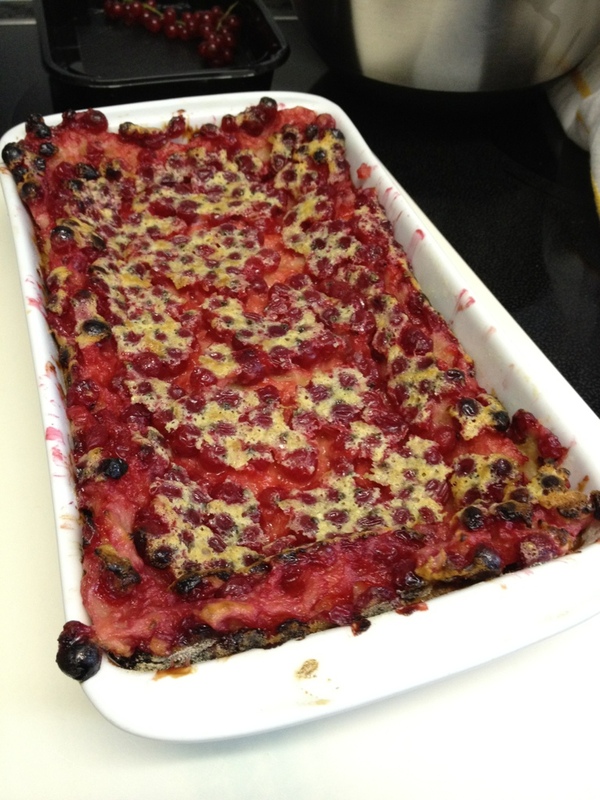 I liked how the redcurrants all rose to the top to form a tarty red ‘crust’.